I'm Quentin, a game developer from France. 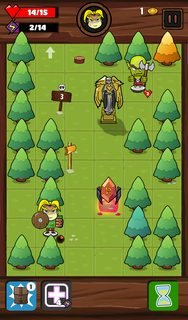 I'm new here but I thought that maybe some of you could be interested in checking out my latest game called Another Quest. 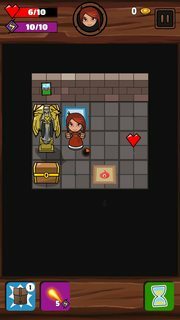 Another Quest is a simple roguelike for Android. 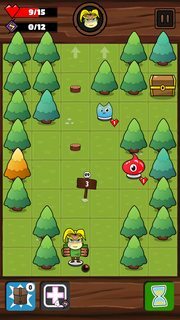 My goal was to make a simple turn-based mobile game with monsters and loots that is easy to play on public transport. This mean portrait mode and a quite casual approach. - The NPC are similar to the player: they have an inventory, can use items and spells, etc. - The exploration is essentially vertical. You must reach the top line of the grid to go to the next stage. - The game is item-based: there is no form of character advancement other than getting items and upgrading them. Items have a level instead of the player.